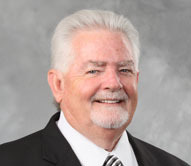 With deep sadness, Mitcham Industries, Inc. says that President and CEO Billy F. Mitcham Jr. has passed away. Mr. Mitcham, the original founder of the Company, served as the President and Chief Executive Officer of the Company from 1987 until his untimely and unexpected death. During his more than 35-year tenure at Mitcham Industries, he was instrumental in building the company into the largest independent lessor of advanced seismic equipment to the global seismic industry. Messrs. Robert Capps and Guy Malden, who were recently promoted to co-Chief Operating Officers of the Company, will become interim co-CEOs, effective immediately.